Bullying – One in five young people have experienced bullying by text message or via email. This web site gives advice for children and parents on cyberbullying. can parents and carers help children get off to a good start using digital devices? This guide for parents and carers provides some tips and checklists to help you. The best way to keep your family safe online, and to understand your children’s internet use, is to use the internet together. Active engagement and conversations with your children are key. Be positive and embrace the technologies that young children enjoy and look for family activities or games. 8 top tips that you can put in place at home, to help keep your youngest children safe online. Your guide to the social networks your kids use Stay up to date and keep your child safe in today’s digital world Net-aware review 50+ Apps. Also rates their safety. Work with parents to help them understand the dangers their child may face. Childnet – An organisation working directly with children, parents and teachers to ensure that the issues of online child protection and the safe and positive use of the internet are addressed. Kidsmart – Kidsmart is an award winning internet safety website for parents and those working with children. It has been developed by the children’s internet charity Childnet International and has excellent information on many of the technologies used by children, with guidance on how to ‘stay safe’ online. We’ve teamed up with O2 to help you keep children safe when they’re using the internet, social networks, apps, games and more. CEOP – The Child Exploitation and Online Protection (CEOP) Centre has set up its own website which has been designed and written specifically for children, young people, teachers, parents and carers. – This website is about the potential dangers with interactive services online like chat, IM, online games, email and on mobiles. It provides information, advice, true stories and games. The resource page also contains a number of links to other useful websites. Know the Net – Knowthenet is an online information hub and practical advice resource sponsored by Nominet, the not-for-profit organisation that has managed .uk, one of the world’s largest internet registries, since 1996 and is responsible for over 10 million domain names. Vodafone Guide for parents – Being very accessible, this provides information and guidance to parents to help under the digital world. There is also an online test to see how much you know. 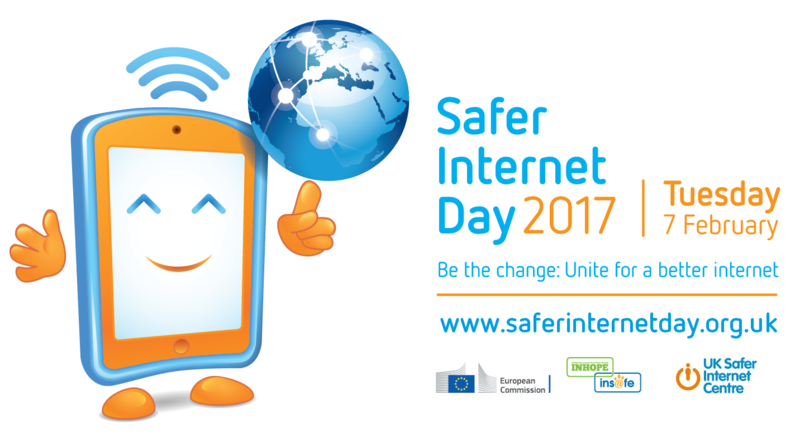 Safer Internet Day – Here you will find e-safety tips, advice and resources to help children and young people stay safe on the internet. Digital Citizenship – A website designed to strengthen awareness and understanding of what digital citizenship is. It encourages users of technology to be and become responsible DIGItal citiZENS.